Holley Somerville-Knott is the 11 yr old CEO & Founder of her own charity Foundation – Stardust Entertainment, which she created at age 8 to help the planet, people and animals in need. Holley is an award winning public speaker, environmentalist/protector, singer, presenter, reporter, MC, host, actress and peacemaker and cares deeply about the planet and all species. Holley’s mission is to spread kindness and compassion, educate and inspire people to stand up for what they believe in, unite together and co create a sustainable and peaceful Mother Earth. Holley is particularly passionate about the issue of unconventional gas mining, and campaigns for renewable energy sources. Holley writes songs, talks with politicians, media and raises awareness on this issue any way she can. Holley sings in nursing Homes, Hospitals, festivals, fundraisers and busking to cheer people up, she also performs and sings her signature soul/blues/jazz and rock, being compared to singers like Joss Stone, Etta James and Aretha Franklin, rallying crowds and raising awareness and money – 100% of the money she earns is donated to the above causes. Holley has worked with many organisations so far, including HBO New York, Drop4drop UK, Earth Guardians Colorado, been a contestant on The Voice TV Show, and has been touring the Jazz/blues circuit this year, and will soon be launching a new initiative in schools nationally and globally, the Institute for Peace & Economics. 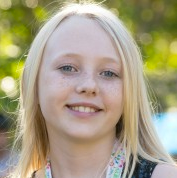 Holley has just received the NSW Government Green Globe Award – Youth Sustainability Champion at Parliament House.